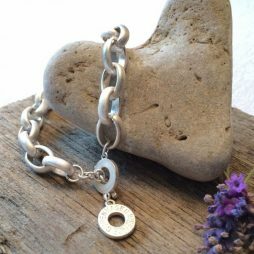 All Joma Jewellery is silver plated 3 times and is always made with real crystals, stones or pearls. Each piece of Joma Jewellery from Lizzielane is carefully hand wrapped in beautiful a Joma gift bag and tied with a silk bow. We seeing stars with the thrilling new 2016 AW Collection from Joma Jewellery! That’s because this winter Joma have put together their most spellbinding collections yet, having taken their influence from all things celestial. They have winter covered with Statement Stars with Enchanting crystal clusters to Sparkly Studs! From the Ultimate in sparkle to smooth silver charms, this season Stars are Joma Jewellery’s must have for every wrist stack. The inspiration for their new “Life’s a Charm” collection comes from their on-going love of Rose Gold. 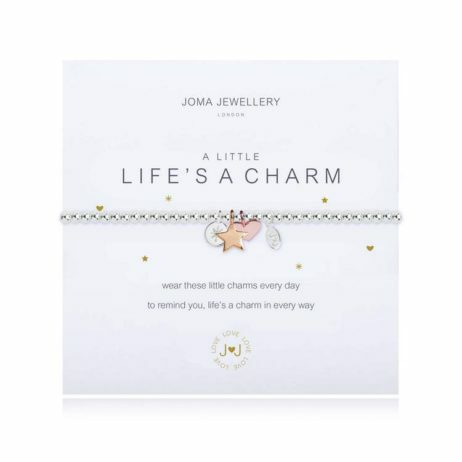 Creating one of Joma’s favourite collections to wear every day, “Life’s a Charm” features smooth rose gold pendants, paired with sweet silver sentiment charms that are scattered softly with crystals. Also introducing a brand new look for the “a little” cards collection this season, sweet icons and new designs have given them a gorgeous lift to create the perfect gift or bracelet to collect and treasure. It’s going to be Joma’s most magical collection yet and with starry charms to celestial crystals you’ll be mesmerised! 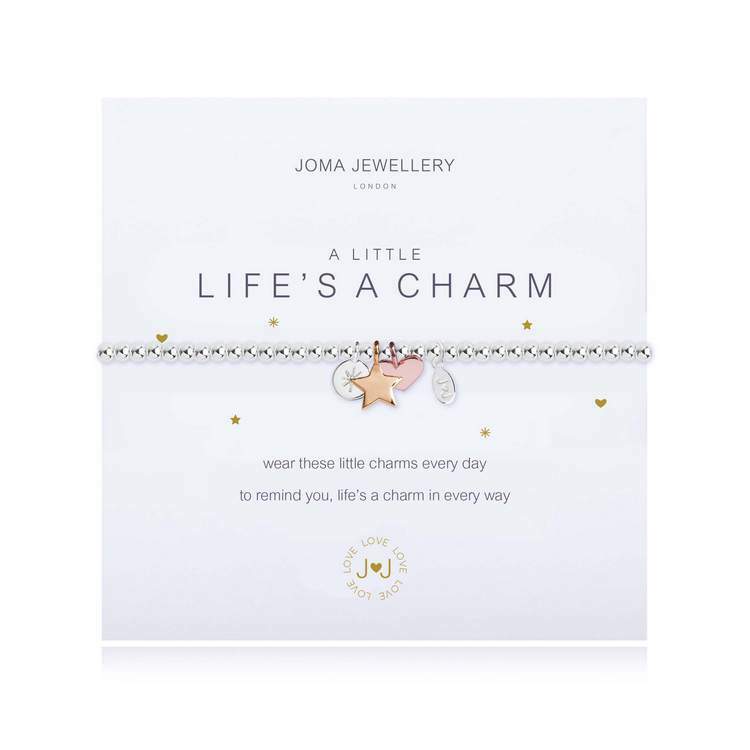 Gifts By Occasion, Graduation Gifts, Joma Jewellery a little, Joma Jewellery New Collection, Valentine's Day Gifts, Gift Ideas, Gifts £0 To £20, Bead Bracelets, Bracelets, Heart Bracelets, Silver Bracelets, Joma Jewellery.